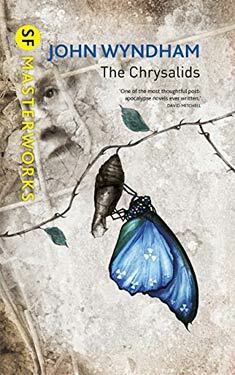 If you liked The Chrysalids you might like these books. The Chyrsalids is set in the future after a devastating global nuclear war. David, the young hero of the novel, lives in a tight-knit community of religious and genetic fundamentalists, always on the alert for any deviation from the norm of God's creation. Abnormal plants are publicly burned, with much singing of hymns. Abnormal humans (who are not really human) are also condemned to destruction-unless they succeed in fleeing to the Fringes, that Wild Country where, as the authorities say, nothing is reliable and the devil does his work. David grows up ringed by admonitions: KEEP PURE THE STOCK OF THE LORD; WATCH THOU FOR THE MUTANT.